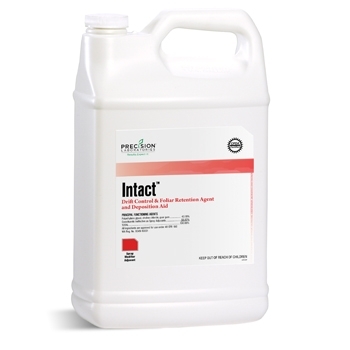 INTACT is the exclusive drift-reduction agent of Roundup Ready PLUS® Crop Management Solutions. This can allow growers to optimize their experience and results with XtendiMax® herbicide with VaporGrip® technology. Participating growers may be eligible to receive a rebate of up to $0.50 per acre when INTACT is used in conjunction with an endorsed herbicide of the Roundup Ready PLUS® platform. When tank mixing INTACT with XtendiMax® herbicide with VaporGrip® Technology, ensure moderate agitation and a minimum of 20% of the desired finished spray volume carrier in the mixing vessel prior to adding other products. Add crop protection products individually in the following recommended order. Be sure to add INTACT before XtendiMax® herbicide with VaporGrip® Technology.